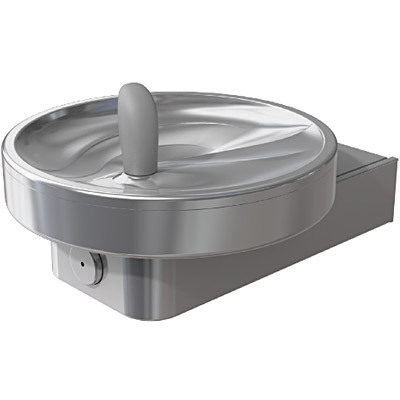 The Oasis F140R Drinking Fountain shall include a push pad to activate the flow of water. Fountain shall be designed to eliminate splashing and standing water. Bubbler shall have flexible guard and operate between 20 and 120 PSI. Drinking water coolers shall comply with ANSI A117.1-1992 and ADA frontal approach requirements. Listed by Underwriters Laboratories to U.S. and Canadian standards. Shall comply with the Safe Drinking Water Act and Lead Contamination Control Act. Shall comply with ANSI/NSF 61. RADII Modular Fountain meets the needs of the physically challenged and the able bodied.